New oval above ground pools for sale. 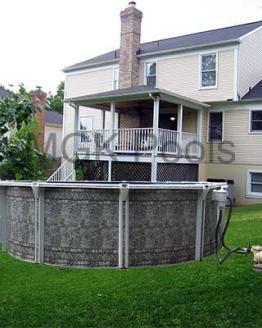 We sell oval above ground pools without buttresses. Our Atlas model is buttress free, meaning you can not see our side supports. We sell small oval pools, and large ones too. Browse this category to find oval pools made of steel and aluminum, and to see all the sizes, and designs we offer.